Forget religion or historicity for a moment, and consider Jesus Christ purely as a character. We’re talking a Jewish preacher and, per the New Testament, messiah of divine parentage. The Gospels never mention what Jesus looked like, so let’s presume that he didn’t look like anything special; he’s a carpenter, presumably an unexceptional one. Of course, he is special. He’s drama personified. Everything he does either reconciles or transcends internal and external contradictions: comfort and anguish, destiny and doubt, the mortal and the otherworldly, life and death. He works miracles, but mostly as illustration; the only thing that really matters about him is how he relates to other people. He’s a divine figure fixated on the comparatively secular gestures of feeding, clothing, and washing. People seem to react to Jesus in one of two ways: They follow, or they feel threatened. He’s not one of us, but also is. At the risk of understatement, let’s say that Jesus is interesting—about as interesting as characters get, actually. Here, the messiah is a personality-free English-accented moppet (Adam Greaves-Neal), trekking with his family back to Roman Judea after hiding out in Egypt, tailed by an evil figure (Rory Keenan, wearing bleached blond locks and a goatee beard a la Chad Kroeger of Nickelback) that only he can see and a Roman named Severus (Sean Bean) who’s been tasked with finding the innocent who got away. 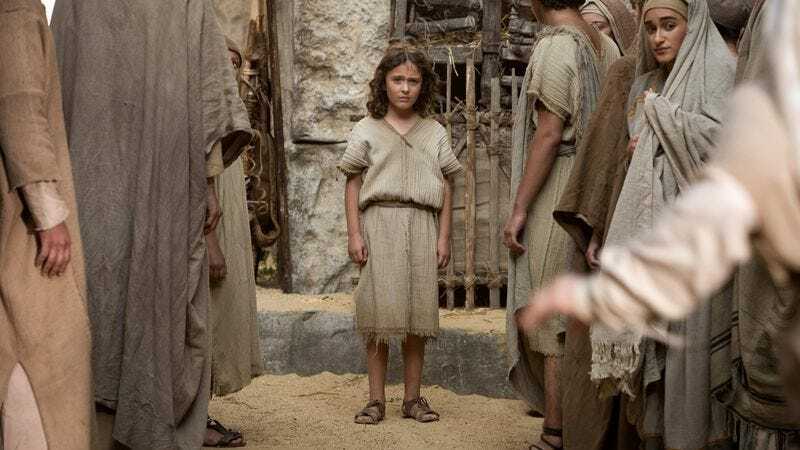 The Young Messiah doesn’t have an iota of tension, since viewers can safely assume that Jesus isn’t going to become corrupted and that his family isn’t going to be captured and executed on the orders of Herod Antipas. This isn’t necessarily a problem; movies don’t need tension. They don’t even need narratives. But they do need something. The closest thing The Young Messiah has to a something is Me And Orson Welles’ Christian McKay bellowing every line as Cleopas, identified (per tradition) as Jesus’ uncle; McKay seems to have committed so deeply to his superb Orson Welles impression that he’s now taken to playing Welles in the kind of Biblical cheapie the film icon would have done for a paycheck in the latter part of his career. 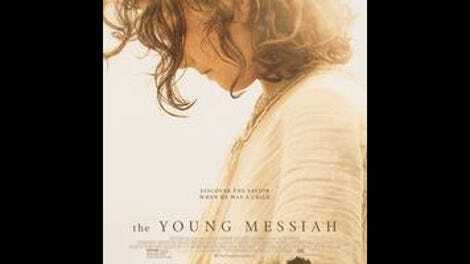 McKay’s perpetually out-of-place Cleopas notwithstanding, The Young Messiah is generic enough to be sold in a plain wrapper labeled Jesus Film. It’s two glacially paced hours of women in coarsely woven robes and men in various states of beardedness expressing little and doing less, the place and time occasionally established by flutters of faux-Middle Eastern strings or a fade-in of text set in the stretched-out, mouse-chewed horizontal strokes of all-caps Papyrus typeface. Cyrus Nowrasteh (The Stoning Of Soraya M.) has a directing style so impersonal and unremarkable that it can’t really be called a directing style, because that would suggest point-of-view or a destination. This is, at best, management. It’s not incompetent, though one eventually begins to wish that it were. Dispensing with the lone quirk of Rice’s source novel—the fact that it’s narrated in the first person by a 7-year-old Jesus—The Young Messiah plays like an interminable network pilot for a series about how the young Jesus walked some places, brought a bully back from the dead, and never met Herod: a brownish-beige time-filler, meant to be watched in the same way that bargain-bin holiday albums are meant to be listened to.